Gay Pride Maspalomas - the grand, vibrant party returns to the south of Gran Canaria from the 3rd to the 13th of May 2018 for the 17th time! Gay Pride Maspalomas – the grand, vibrant party returns to the south of Gran Canaria from the 3rd to the 13th of May 2018 for the 17th time! Every year during the month of May, the south of Gran Canaria, Maspalomas, becomes more colorful, cosmopolitan and fun than usual – if that’s even possible. This comes as no surprise, as Gay Pride Maspalomas is in town. 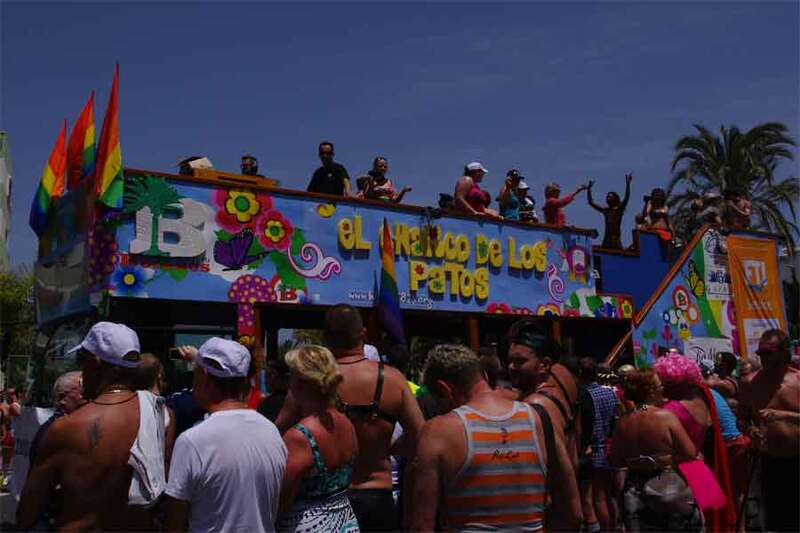 Although some events take place on the water or at the Amadores beach, the main focus is the Yumbo Center – Gran Canaria’s famous LGBT hub, popular all year round, Gay Pride or otherwise. Gay Pride Maspalomas will be celebrated for the 17th time in just a few days, starting the 3rd of May 2018 ending two weeks later on the 13th of May 2018. The highlight is a huge Parade taking place on the 12th of May 2018, a Saturday. Picture clear, blue skies, the sun shining on warm, smiling faces, surrounded by great music, extravagant floats and fun costumes – be sure not to miss it! Gay Pride Maspalomas makes a splash with many awesome events, though naturally there’s always something new to enjoy from year to year. This year has its own wonderful additions, such as the Gay Boat Party which is not the only event found on the water; in the afternoon, Pool Parties often take place in various locations too. Thursday, 3rd of May beginning at 9pm: Gay Pride Maspalomas Grand Opening starring VideoDJ Hector, Yumbo Main Stage. The Gay Pride event is officially opened at 6pm at the tourist office directly at Yumbo Center. Every night beginning at 9pm: Rotating program with Music, Various DJs and Groups at the Yumbo Main Stage. Good atmosphere guaranteed. Wednesday, 9th of May beginning at 1pm: Women’s Pool Party at Axelbeach Hotel Maspalomas. The Wet & White Party takes place on the same day at Amadores Beach Club (there are buses heading there from Yumbo). Thursday, 9th of May beginning at 10pm: Drag Queen Gala at the Yumbo Main Stage. The Freedom Party Burlesque with DJ begins at 12pm in the same location. 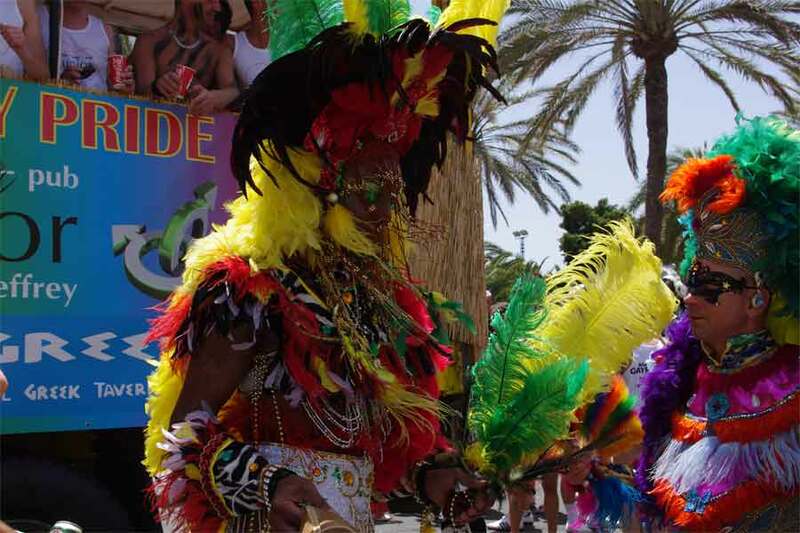 Saturday, 12th of May is the great Gay Pride Maspalomas Parade we’ve all been waiting for! It begins at 5pm, heading up the entire Avenida de Tirajana all the way to the Yumbo Center, where at 6pm the big Mega Pop After Parade takes place and the party keeps going all night long! Finally, the Freedom Oh My Gods! Party begins at 12pm featuring international DJs. No doubt, a large part of the event program is especially geared toward members of the LGBT community, however it’s undeniable that everyone can at least enjoy the Pride Parade on Saturday, and the lively, joyful openness of the people joining in the event. Not to mention, there’s exceptional entertainment to be found on the Yumbo Center Main Stage every night, that attracts all kinds of people. If you happened to miss out, don’t worry! The next Gay Pride Maspalomas event is just around the corner both November this year and upcoming 2019. 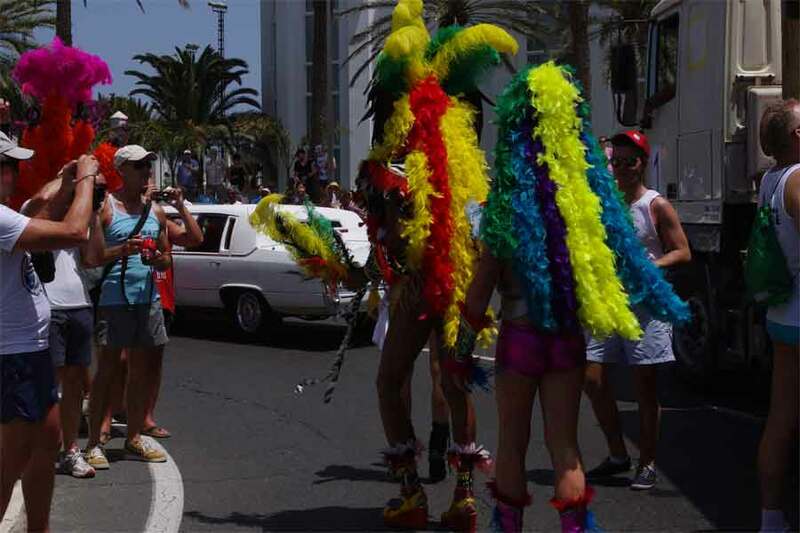 Those who unfortunately can’t make it to Gay Pride Maspalomas this May have a second chance to come in November thanks to Winter Pride Maspalomas, which was introduced in 2013. It takes place from the 5th to the 11th of November 2018. The highlight during this event is the Pride Walk, which garnered up to 10.000 participants in 2017. If you have the time, consider visiting both months for twice the yearly fun! Maspalomas Gay Pride 2018 written by Bella D.